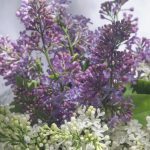 Can you plant lilac in the winter and can you plant them in containers? 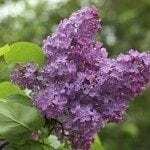 Spring or fall is the best time for planting lilac bushes. They grow just fine in containers, though you want to make the container about 5"-10" wider than the rootball of the plant you have and at least 2' deep. Dwarf types are also better choices, such as dwarf Koren lilac. They spread nicely, but stay small so it would not outgrow the container too quickly.